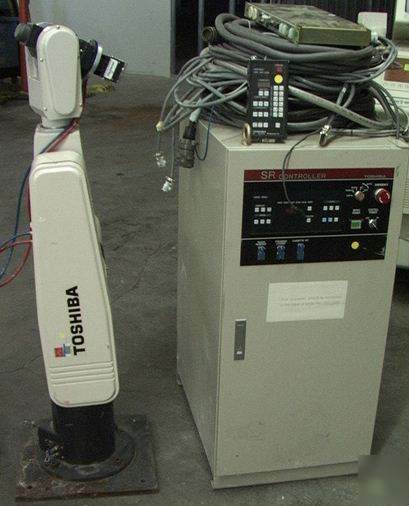 6-Axis Toshiba SR-606VH Robot Arm with controller, teach pendant and cables. Might be just what you need for your 6-axis robotic arm application. Condition looks good used but not tested. Appears mechanically complete but no software or documentation. Sold as-is-where-is. What you see is what you get. We are in the Desert Southwest so items may need dusting/cleaning when they arrive.